Point and shoot camera is the type of the camera that is used by the photographers who are a novice in the field or are the holiday photographers whose interest lies in capturing the images that are preposterous in looks. These cameras are used by the photographers who want to have the incredible images but the photographers did not want to show the details in a technical way. Point and shoot camera being, one of the types of the camera are great in demand by the photographers knowing their best benefits like user interface, incredible performance and compact size that completely fits the needs of the users in an achievable manner. These cameras are available in both the basic and advanced modes and they can be used by the person according to their needs. The plus benefit of these cameras is that these are designed in the fully automated ways that permit the user to just point and shoot the images without being indulging in other complicated manual settings and this is the basic reason as this is the camera perfect for the beginners in the field who has no skill of any settings. Point and shoot camera are available in many different sizes and its features rely upon the size of the camera. You have to choose the camera that provides you the convenience in every shot. It must be lightweight and also be compatibly designed that fits into the palm of the hand. While choosing the camera according to the size keeps the sense of the features that come in the available size and accordingly select the size as you want with the requirement of the features. So cross check these features and choose a particular model as per your prerequisite. LCD display is of paramount relevance as it is the screen used for composing the images in the camera. The photographer can view the images captured by him on the LCD display so focusing on the size of the screen is crucial for viewing the admiring quality of the captured images. You have to notice the size of the screen that it must be large enough that offers a comfortable view of the images to the photographers and he can conveniently observe the image quality. It must be a minimum of 2.5. Just remember the higher the resolution the better the clarity of the image you will get. So invest in the camera that is capable enough to provide superior quality of the images to the user and for that, it is crucial that the screen must be large enough that provides you the qualified view of the captured clicks. This is the other noteworthy feature that you must take into account while purchasing the point and shoot camera is the battery back-up. As a photographer, you just need to buy the camera that administers the long battery back-up to you. Think about the situation when you are having the compelling shots with the perfect set up that you get after such a failure shots and at that, you find that your battery power to zero percent and trust on this that will be the most regrettable situation for the photographers. So spend money on the camera that provides you the highest battery back-up and this becomes more crucial when you are going on the holiday or for a long photography trip. Point and shoot camera must be the one that is competent enough that provides the facility for making the videos to the photographers. Most of the cameras of today’s time have the facility of video making but most ones are not capable of this. So before taking your buying decision invests in the camera that provides you with the highest quality video making. The feature is very useful and carefully note that the qualities that the videos provided by the camera must be brilliant and not at par. The range of the quality resolution must be at 320 by 240 and 640 by 480 resolution that must be the reasonable one. The features that these camera hold must be the special features like shutter speed, ISO, zoom and also resolution. These are some of the technical features that deeply contribute to the image quality. If your camera has these features then you possibly can adjust them according to your convenience. Keep in mind that for better elements in the images it is crucial for them to have the optical zoom over the digital one. It will surely give higher-end zooms and that connects the photographers with the blur-free images. The other important point that must be considered by the photographers looking to purchase the point and shoot camera is that the focal length of the lens which must be minimum 28mm in focal length. The focal length ensures the reasonable performance for the images. All in all the presence of these features in the point and shoot camera will make it the best camera for accomplishing the needs of the user and will make the shots more appealing if the various features like red-eye correction, face recognition and like will make the portraits perfect for each time. You also can use the different preset settings that help you get the amazing pictures by matching the various settings of the camera with the appropriate lighting conditions. These are some of the technical features that must be present in the point and shoot cameras if the photographer really wants to have the tempting shots. 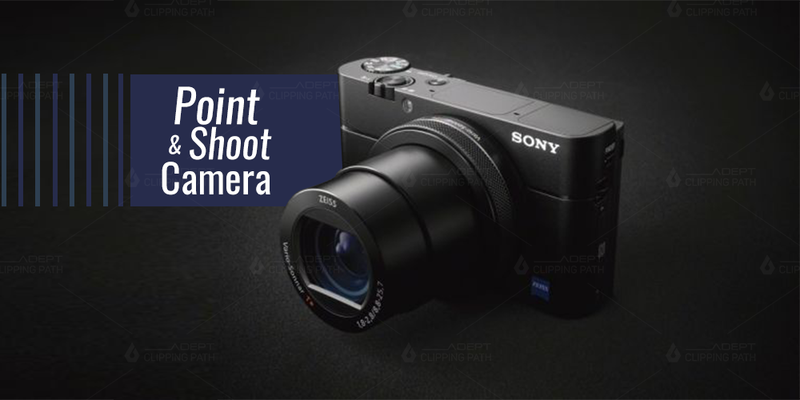 Consider these points if you really are thinking to invest in the point and shoot camera so that you can get the best-featured camera within the affordable price and that is capable enough to achieve the needs of the photographer.